Very quick post today, but it comes in very handy if you’re sad about summer leaving kinda soon and you love watermelon. I’m going to show you how I chop it up and freeze it–then it ends up in juices and smoothies later! Wash the watermelon and cut a couple of inches off of each end (so the ends are flat now) A big serrated knife works great. 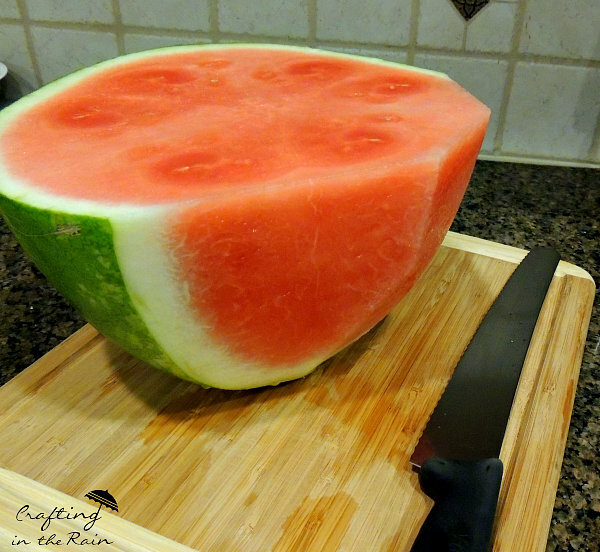 Cut the watermelon in half and set on the now-flat end. 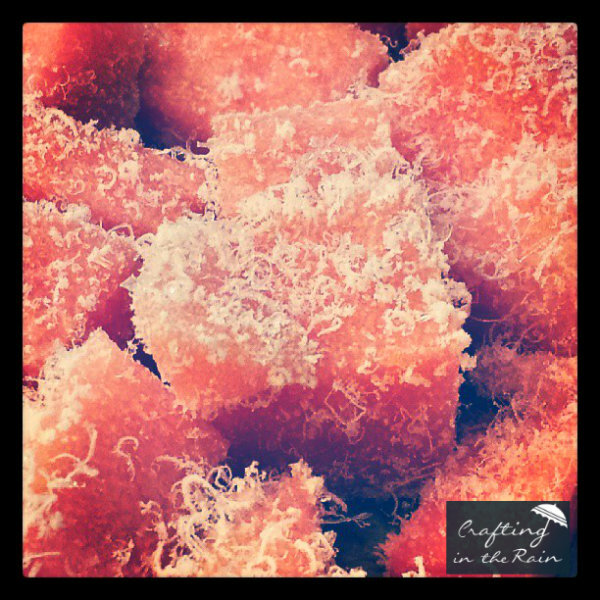 Slice off all the rind and cut the big chunk of watermelon into slices then cubes. Lay cubes out on a cookie sheet and place in the freezer for at least a couple of hours. 1/2 a watermelon filled up this whole sheet. To easily remove the watermelon from the cookie sheet it’s now frozen to, take a kitchen towel, soak it in hot water and ring it out. Lay it out on the counter and put the cookie sheet right on top of it. It will heat up the bottom of the sheet just enough to loosen the watermelon. Then scoop all the pieces in to a freezer ziploc bag and it will stay good for months in the freezer. 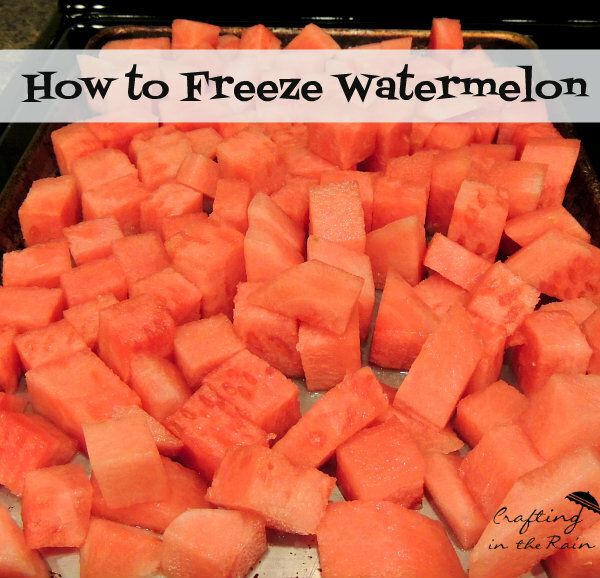 Have you frozen watermelon before? How do you use it? Try it in this Peach and Watermelon fruit smoothie. So awesome. I froze some water melon chunks for smoothies. And then today I found this. Thanks for sharing. BTW this is the way I did it too. That’s cool! Enjoy your smoothies!